To Laser or to Wax… That is the question. Getting your summer body ready doesn’t just mean going to the gym and sticking to your diet. It also means thinking about your high-visibility hair removal options. I hate shaving and find it an annoying burden, so what are my options? Laser? Wax? Let’s dig into the pros, cons, and prices of both these options. How it works – Most of us know how waxing works, but if you are new to this procedure here’s a quick overview. Heated wax is applied to the area and pulled off your skin once cooled, pulling out the hair from the root. If you are lucky, the first application gets it all. If you’re not, they do it again, or they pull out the stragglers with tweezers. You won’t have to shave for a few weeks. Waxing is a temporary solution. Depending on your hair type, hair will start to grow back in two to six weeks after the treatment. It’s painful; hair is being ripped out from the root. Some say it becomes more tolerable over time; however, it will never not hurt! You need to grow your hair before your appointment. The hair must be at least a quarter inch long to wax. So that means no dresses, skirts or shorts for a week or two. Waxing can also result in ingrown hairs. Depending on what area you are removing the hair, waxing will cost you $20 – $80 + tip per session. Add those prices up for a few years, not cheap for a temporary solution. How it works – Laser targets the colored pigment cells (melanin) in the hair follicles. The pigment consumes the energy until the follicle is destroyed, leaving the surrounding skin mainly unaffected. 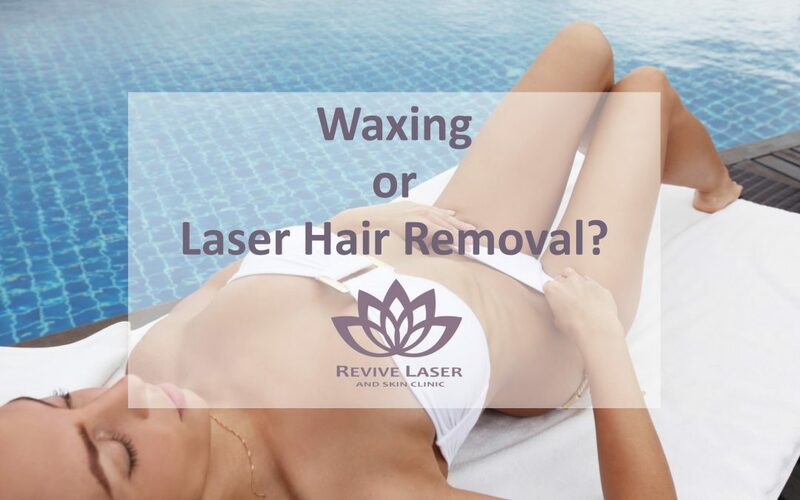 Laser treatments are repeated (on average) 7-12 times, at 4-8 week intervals to target the attached hairs at each growth cycle, until most of the hair follicles have been destroyed. Even if you have sensitive skin, you can be treated as it causes no damage. 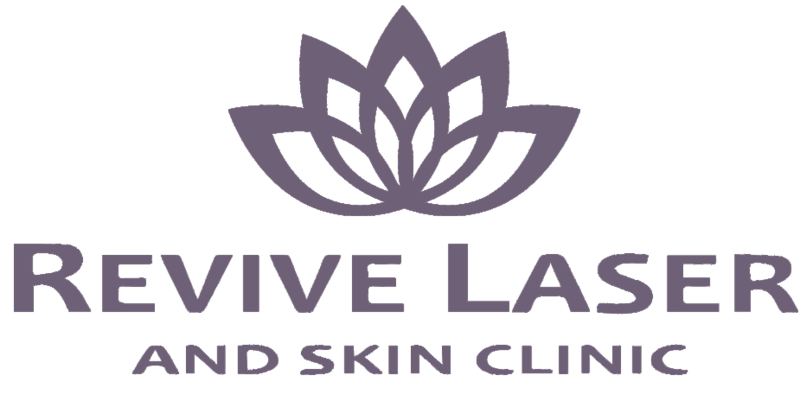 we have successfully treated clients with extremely sensitive skin, eczema and psoriasis with laser hair removal. After several treatments, you can expect a significant reduction (80-95%) in the thickness and amount of hair. You can get it done anywhere on your body, and the machine can cover large places fast. When it comes to pain level, a laser is somewhere in between shaving (no pain) to waxing (holy hell that hurt). You will feel heat and a prickly feeling as the laser delivers the energy into the hair follicles. Not all lasers are equal and some come with a LOT more pain than others. But all clients have said that the Fotona ND:yag is very tolerable. No tipping required for your laser sessions at Revive Laser! It can be pricey right off the bat. But if you add up what you spend on razors and waxing it will be 100% worth it. Think of it as a beauty investment. for example, 25 years of Brazilian waxing every 6 weeks will cost approx. $20,000, while 10 sessions of laser hair removal will cost approx. $2,750 and will be permanent!